Phil Taylor is an EPZ member, and a part-time photojournalist from the North West of England. He has an exceptionally clear view of what he’s doing, and why, and took some time at The Photography Show at the NEC to answer a few questions. Phil Taylor at the NEC, with the book that started it all for him. Picture © John Duder. All other pictures © Phil Taylor. I started as quite a keen photographer as a child. At seventeen, I went to study photography for one year at Blackpool College, dropped out, and said I was never going to photograph food, closeups, still life, weddings or portraits. I had a few fallow years of not doing much photography at all before going on an A Level course at what’s now Bolton University. I was quite keen on photojournalism, and I suppose my idol was Don McCullin. I wasn’t very keen on the work of Martin Parr at that point. Realising I could make money from photography, I started working with the local photographic studio as an assistant on weddings. Eventually, I set up my own part-time business photographing weddings, from 1987 to 2003. I started towing around lights and backgrounds, and the courses became a big help because theory was the mainstay of the course. I always feel that understanding apertures, shutter speeds, lighting ratios and tonal range is very important. It doesn’t matter what kind of photography you do – it’s vital that you have a good grounding in the basics. If you can light a sausage roll, you can light a cathedral. 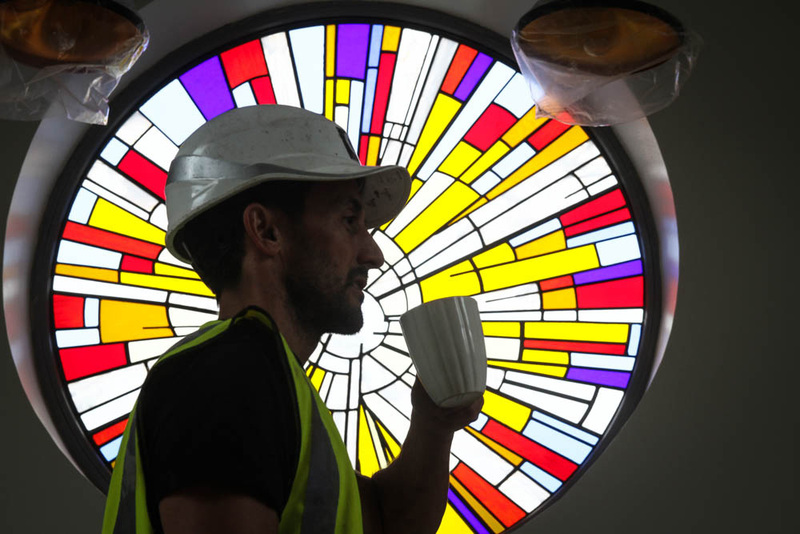 Stained glass at Bridge Church coffee shop - careful technical work here, as Phil gets both focus and exposure nicely balanced to give a picture of the place, with human interest. The picture is all about coffee and a church, halfway into the story before you start to read the text. In 2000, things started to change a little bit. I’d had a darkroom at home, and I started to experiment with Photoshop, so in 2000, I’d already got a website, and a wedding couple who had met online, made all their wedding arrangements online. People just didn’t do that, generally. That was a newsworthy story for a little newspaper in Scotland like the Sunday Post. That got picked up by the Daily Telegraph, and I offered the story to my local paper, who didn’t pick it up, though the couple came from that area. Within a week, they asked if I’d cover for one of their photographers who’d gone off sick – so for the next four years, I was at the Bolton Evening News, as it was then, as their key freelance photographer, covering pretty much anything. I got headhunted by the Manchester Evening News, and that ended up with me having a food column for ten years. And I ended up doing five clubbing columns a week, in my forties! A friend of mine, who’s a vicar, suggested I have a talent for photography, and in 2011 the train came off the tracks with the news media side of life generally. Every year, there’s the Christmas redundancy round. I never did it full time, as I had a mortgage to pay at that stage. And for six years without photographic work, then a friend suggested I could start providing stuff for the local newspaper, who picked up on the fact that I was fairly competent. 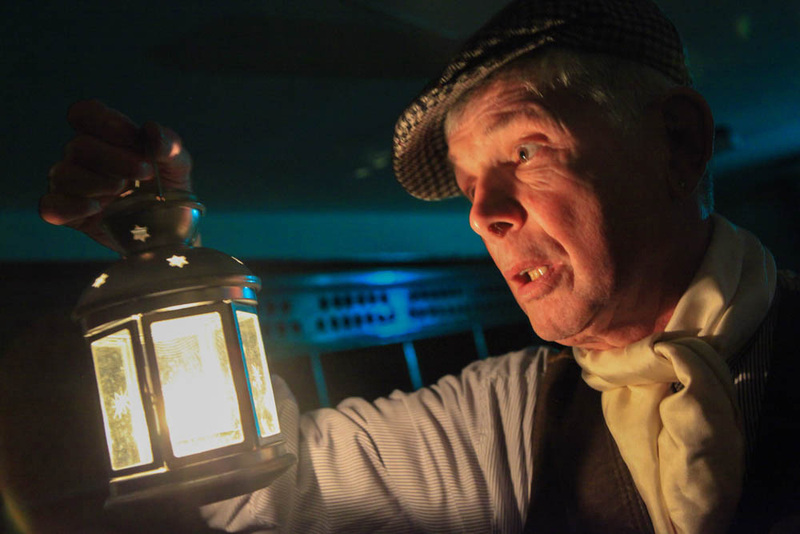 More sedate than in his clubbing days, Phil illustrates an article on night-time heritage tours at Victoria Hall. How do you currently work in terms of getting commissions and selling images? Commissions... basically, it’s keeping an eye open. 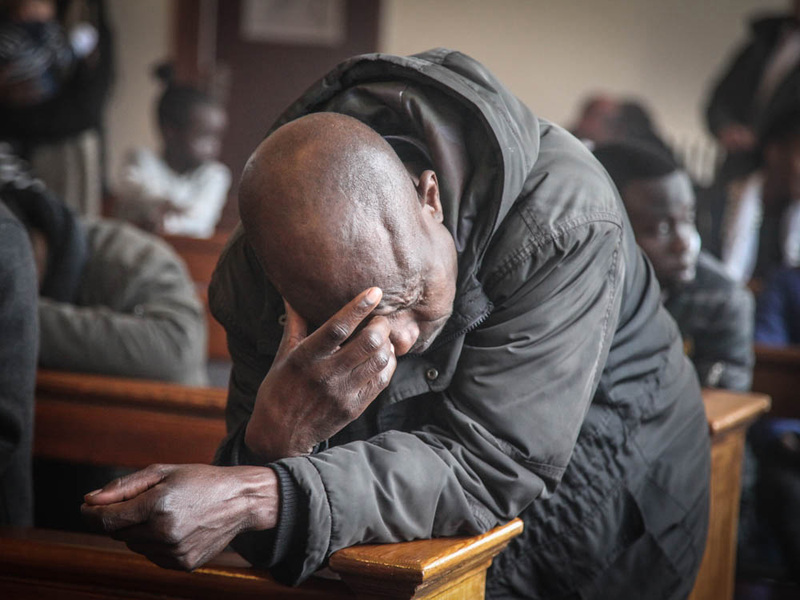 A lot of what I do is public relations for churches, and I’ve started a project on churches that are entirely composed of refugees. There are stories about recovery courses at churches. 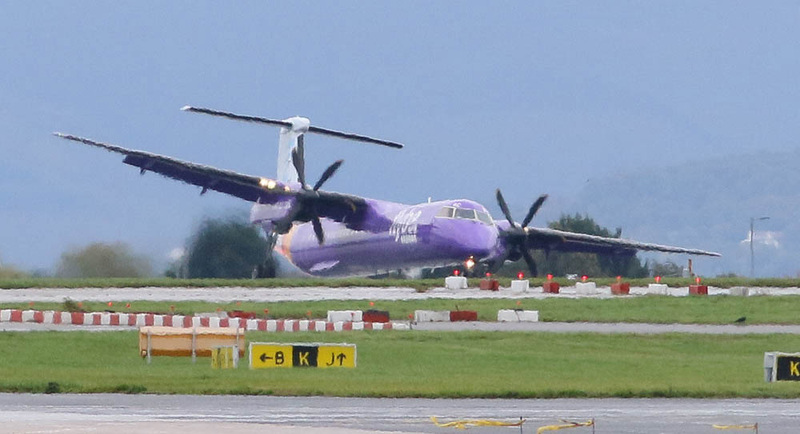 If the event is sufficiently spectacular, the technical quality doesn’t matter much – high winds and rain spoil visibility, but not the newsworthiness of this shot, which was used to cover FlyBe going into administration. Learn where it floods. Learn what kind of days it’s going to be windy at your local airport, and where it’s going to snow first. Is there a hillside locally that’s more than likely to set on fire if there’s a drought? 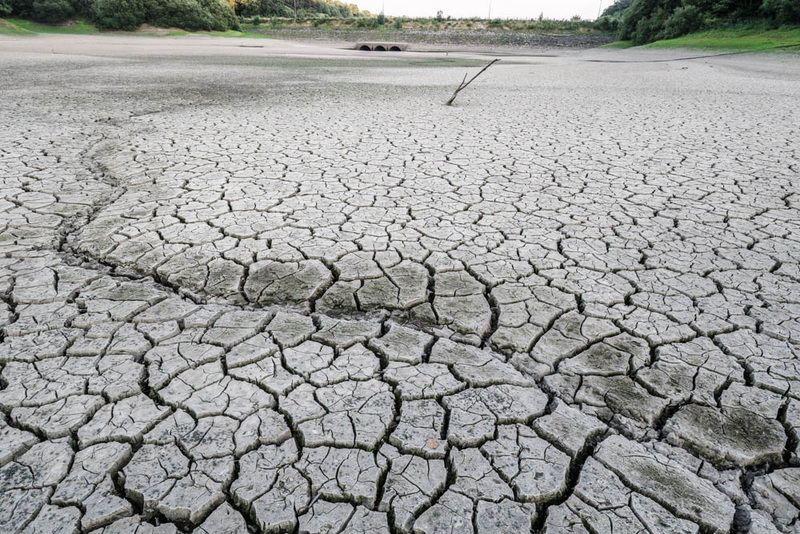 Learn which reservoir will dry up first in a drought! Local newspapers are very much part of our local community and local communities need people who are prepared to submit pictures and report on things objectively, not just on social media. Do you cover hard news stories only, or is there another approach that you can use? Wayoh Reservoir in Bolton – part of Phil’s long-running drought story. The reservoir wasn’t going to run away, didn’t have to be hidden in a hotel. The problem is that as soon as you release that, other people dive on it. But it’s outside London, and it happened during the World Cup. If the reservoir had worn a Gareth Southgate waistcoat, it would probably have made it. Do you use agencies – and if so, what do they do for you? The first thing about agencies is that they take half of what you earn from any publication. But they have the advantage that they have the ear – and the eyeball – of picture editors. They tend to be very good at knowing what the agenda is. Going back to the drought, they knew that it was going to peak just before the hosepipe ban came in. 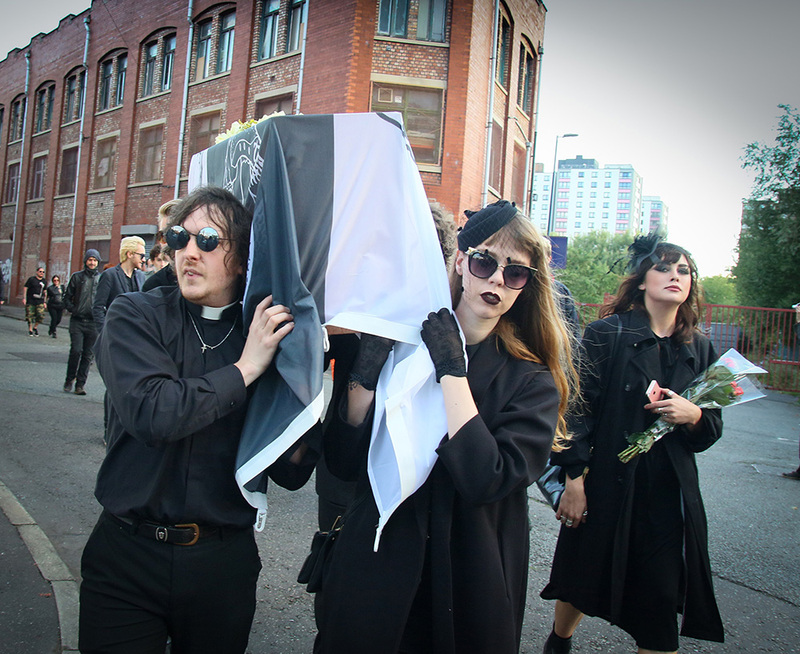 They are effectively sales reps.
A mock Princess Diana funeral provided considerable controversy – and was therefore newsworthy! What advice would you give someone interested in selling news pictures? You already know what you are interested in, so find out which publications share the interests. If you’re fascinated by steam trains, traction engines, birds, people with no clothes on – if there’s a magazine that covers that area, then find out their criteria for pictures, what they want. What are they interested in? Find out the formats and quality they need, what they are covering. Then make a speculative approach. It doesn’t have to be high-end news. If you’re involved in a bowling club, think about how creatively you can portray bowls. If you have to lie on your back on a bowling green with everyone throwing bowling balls at you, do it. Being creative and standing out from the crowd will make your work more acceptable to a picture buyer. One advantage of doing it part-time is that newspaper photographers will often cover as many as eight jobs a day. I quite often get a whole month to think something up. 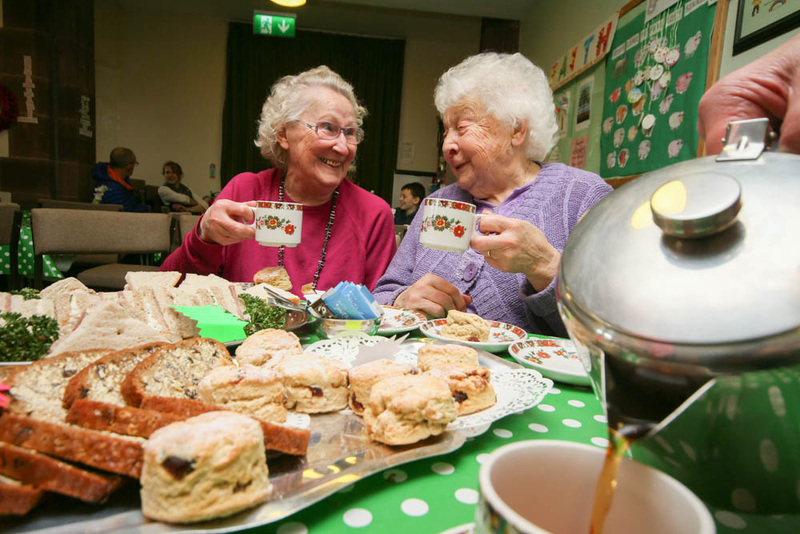 For example, a tea and cakes afternoon at a church is utterly boring until you start to think it out. So in my case, it was an ultrawide-angle lens with the teapot right in front of the lens and my hand coming in to take a cake, and two old ladies having a laugh and a giggle at the back. It worked: it went half-page and gave publicity to the church. 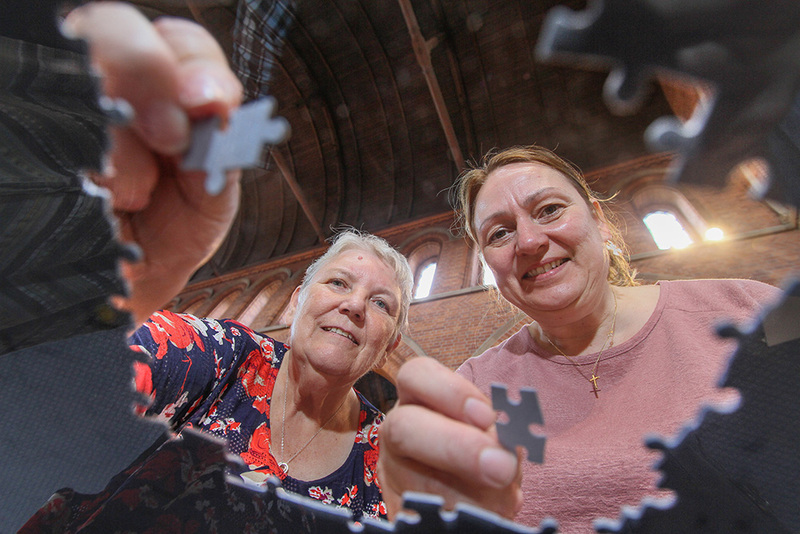 Phil’s creative approach to a jigsaw competition – a set-up shot that conveys the story far better than straight reportage. Making a picture worth publishing is often part of the game. At a jigsaw festival, I got a 20 by 16 picture frame, made a jigsaw, and tore out the middle of it, then lay on my back and shot up through it with everyone putting pieces on the jigsaw, lighting with remote triggered flash. Half a page in a week when Winter Hill and Upper Mill were on fire. As I said earlier, learning your technique, your apertures, your shutter speeds, knowing about your lighting can be transported from one field of photography to another, as I did – from wedding to press to food. With clubbing, you very quickly learn that two people standing there dancing with on-camera flash just isn’t going to cut it every week. So I developed a technique where I’d use ¼ second exposure and try and get a complete rotation of the camera to get a light trail around the clubbers. What technical quality do photographers have to achieve to sell pictures? Do you have any technical advice for would-be photojournalists? The best camera to have is the one that’s with you. Take the picture of a Nissan Qashqai on fire. Not being the most observant photographer, I parked next to it. My girlfriend said ‘there’s smoke pouring from that Qashqai’ and I looked. There are flames pouring from the bonnet by this point so I phoned the fire brigade, then I started taking photos. Of course, it’s just an unfortunate event, but it happened just after the Liverpool Arena car park fire, so it was hit news. Hot news, even! So that picture was wired from my mobile phone. It was out of focus, it was underexposed, and it was on the website of my local paper within ten minutes, and the Daily Express webpage in a couple of hours. 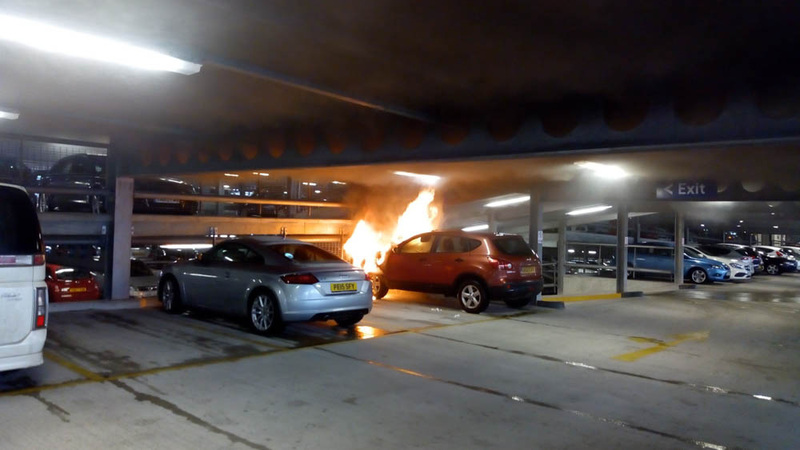 Just a car on fire in a car park: but a recent larger-scale news story made it well worth shooting, whatever the technical issues. So equipment, really, is what you have with you. My favourite kit is a Canon EOS 7D Mk II with a wireless card in because it can wire straight from the camera to your mobile phone. I also have the Canon EOS 5D Mk II, which is a bit slow and clunky, but is ideal for stationary jobs like reservoirs, fires, things that don’t run away – and it’s exceptionally good in low light. 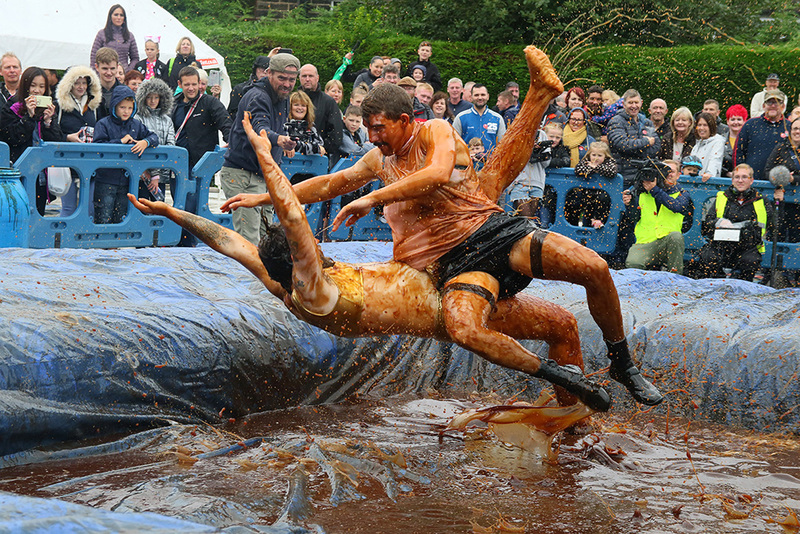 A good example of the 7D Mk II - I turned up to the World Gravy Wrestling Championships, where we had Reuters with a television crew, we had an agency from Liverpool who have accounts with national newspapers (so that anything that goes in from them wins straight away), and me and a Canon 7D running to the agency in Bristol. The ability to wire instantly is very, very important. If you’re looking at new kit, make sure it has some sort of connectivity to your mobile phone or your tablet, so you can wire instantly. Beyond that, it doesn’t matter. You don’t need twelve frames a second; you don’t need the latest mirrorless kit. You don’t need the latest mirrored kit, either! 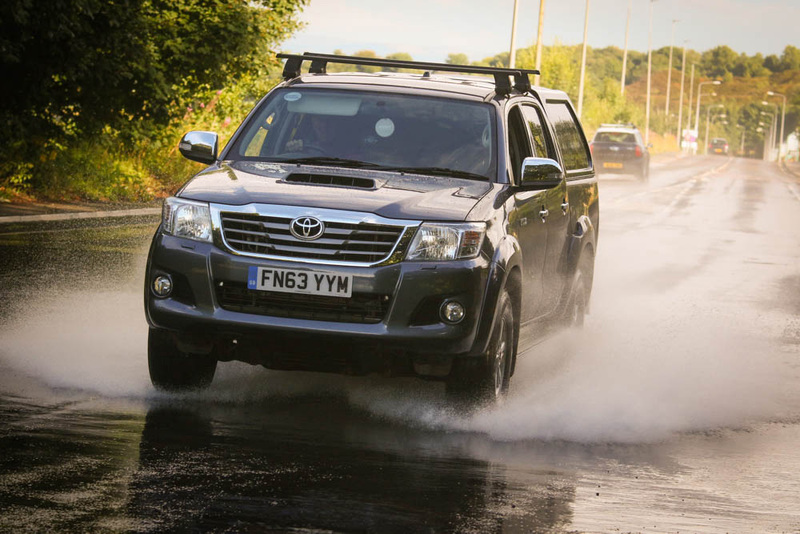 You need something that’s tough and durable, able to work in all weathers, with a lens that is able to cope with the lighting conditions that you’re in. If you’re photographing concerts, you’re stuck with a 70-200 f/2.8 stuck round your neck. If you’re photographing landscapes, you can get away with a nice cheap Sigma lens that will do the job perfectly. Phil assured me that no edible gravy was harmed in the production of this picture. A magnificent level of silliness makes life more fun! So, actually, you’ve talked about a lot of technical stuff that I just haven’t done. A lot of it is about the connectivity. 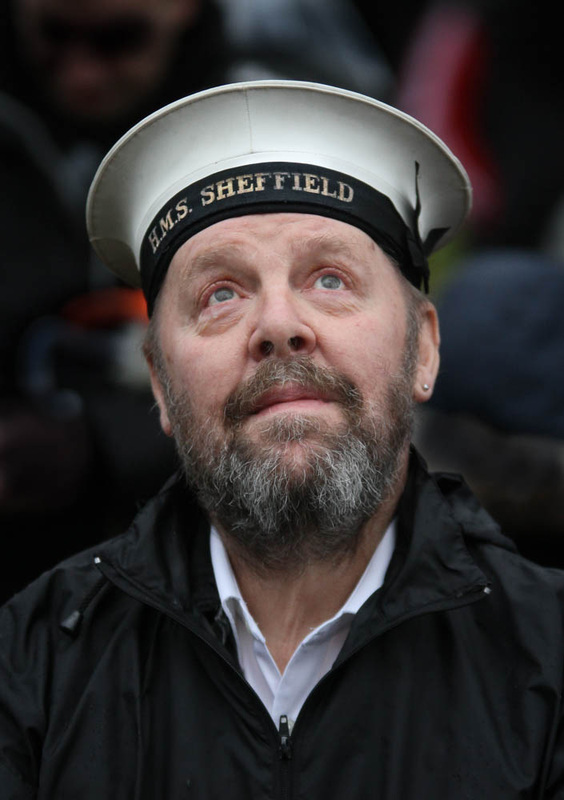 This Falklands veteran hadn’t felt able to attend a Remembrance Day parade for over 30 years – Phil caught the emotion of the moment. And then went over and hugged the man. Photojournalism need not be callous. Is there any training or reading that you would suggest? If you can find it – I don’t even know if it’s still in print – there’s a very good book called ‘Pictures on a Page’. And the ultimate manual to look for, it’s a Christmas treat kind of a book as it’s about £50, is Ken Kobre’s ‘Photojournalism’. It’s an American book, so a lot of the law in the book only relates to America on freedom of speech, privacy, and what’s acceptable. So look on that purely as a book on the techniques, the lighting, and the approach to subjects and running a story long-term. I’ve kept a story on train overcrowding running over twenty years. I would also say get a copy of McNae’s ‘law for Journalists’ – the law relating to press use is very different. Lots of people will think you can’t photograph some children playing in a playground. Yes, you can – you don’t even need permission, though it would probably be advisable in the current climate. But you could not publish those pictures in a newspaper. Things like that you need to know. You need to learn about the difference between public and private property – I remember many occasions standing with my toes outside the building on the pavement. 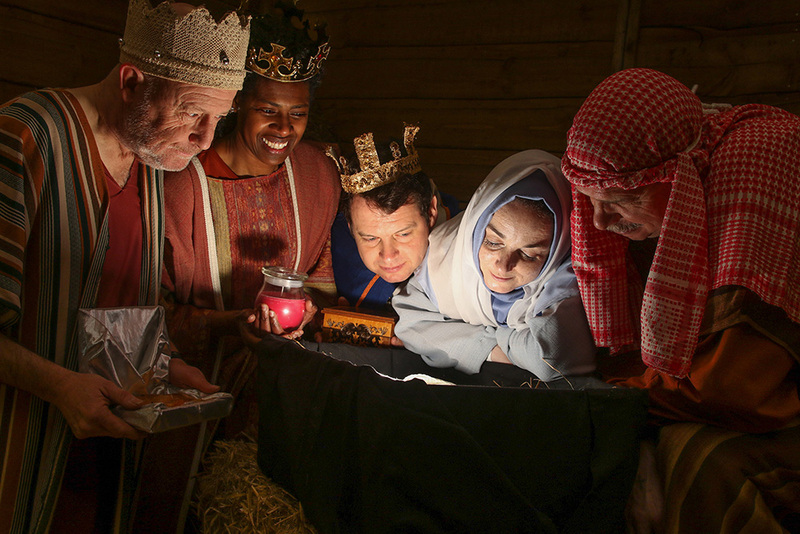 A modern setting for a Nativity play – showing a contemporary message in a contemporary setting? 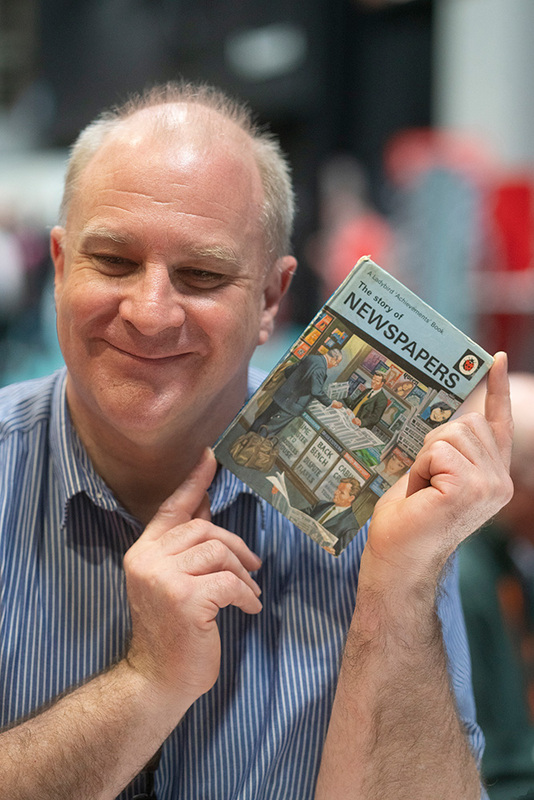 Yes – the Ladybird book of newspapers! It’s funny what can inspire somebody as a child. That one moment that changes your life forever. My mother used to work part-time in a newsagents, and I was always fascinated to see the papers arrive. My dad used to work in Manchester and I remember seeing the newspapers coming off the presses in the Daily Express building which was entirely glass-walled so you could see it all. There was another moment when my dad had taken a picture on his twin lens Microcord – it’s on my profile picture on ePHOTOzine – I ran round to look through the viewfinder and I could see this bright, colourful image, and I was absolutely entranced. Within a year I’d asked if I could borrow the camera. Perhaps I’m a bit different from a lot of young people coming into photography – I ended up taking my first pictures using the Weston hand-held meter with incident light metering. That’s the way people need to learn! On film, of course. 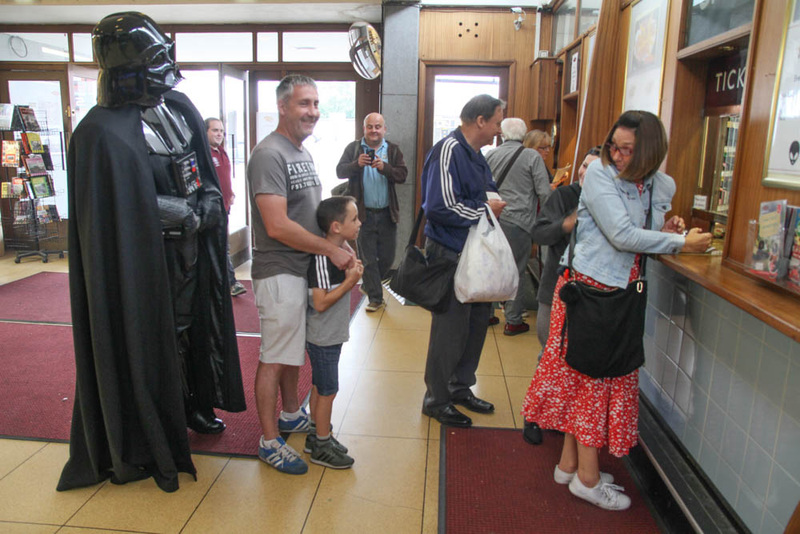 Phil has been photographing overcrowded commuter trains for a long time – but this shot from a Sci-Fi weekend on the East Lancashire Railway may offer a solution. It’s one of Phil’s favourites, and you can see why! Any final advice for ePHOTOzine members? If you’re an ePHOTOzine reader, you’ll be used to seeing pictures critiqued for having chromatic aberration, the Bokeh looking a bit jaggedy on things: old chestnut subjects. Bridges with glassy water flowing underneath them, herons swooping over water, traction engines against sunsets, planes at your local air show. All of those things are good if you can find a market for them, but find a publication that fits with your interests, and submit to it and see where it goes from there. 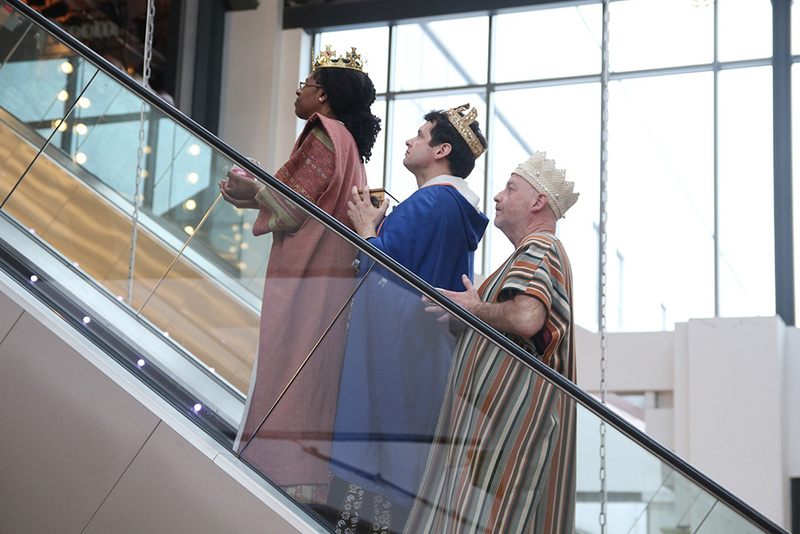 Another shot from the Market Place Nativity Play shows the delicate balance of light that comes from technical mastery. You could shoot this by existing light, or with on-camera flash – but it would be a far less interesting (and beautiful) image. Above all, think about every job creatively, however basic it seems. Learn your area. Keep an eye on the weather. Watch what local activities there are. And cultivate that relationship with your local newspaper, because nowadays they’re desperate for pictures. My local newspaper used to employ eight to ten staff photographers and four freelancers on regular contracts, one of them being me. Nowadays, that newspaper employs one staff photographer for five titles, and that’s the end of it. So any competent photograph that’s sent in will be acceptable. Learn to caption using the file info field in Photoshop. If you can afford it, start using Fotostation (which is an expensive subscription product) which is what newspapers use, so that it flows through their image management systems seamlessly. Have a grab bag with wide, standard and tele zooms or primes, a flash and spare charged batteries, cards, and cables ready. Carry a cheap tripod in the car. 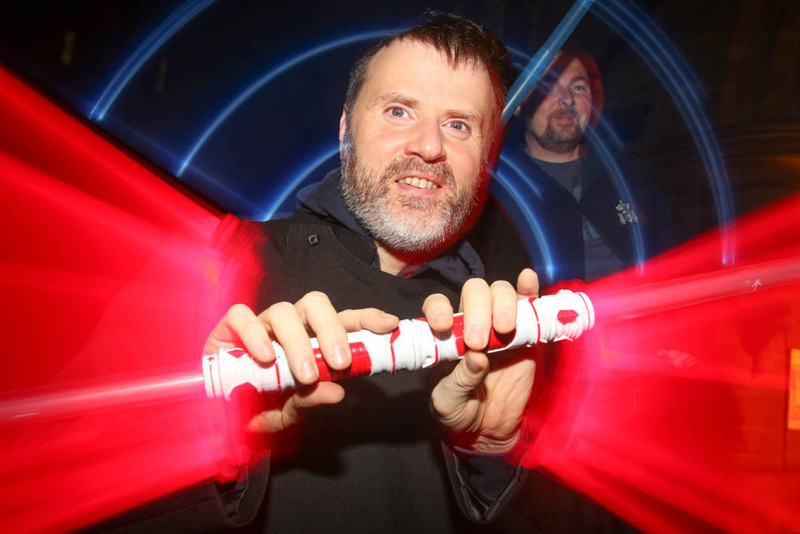 Back to his clubbing days in shooting style, Phil shot a creative portrait of Rev Jonathan Moores at a Light Party. John Duder has been an amateur photographer for fifty years, which surprises him, as he still reckons he’s 17. Over the last year or so, he’s been writing articles for ePHOTOzine, as well as being a member of the Critique Team. He’s also been running occasional lighting workshops and providing one-to-one photographic tuition. He remains addicted to cameras, lenses, and film. An interesting article. Lots of helpful tips and advice, not only for budding photojournalists but for all of us. The hug for the Falklands veteran. An act of kindness that many photographers would not have offered. Says a lot about the man. Dave. An interesting article. Lots of helpful tips and advice, not only for budding photojournalists but for all of us. The hug for the Falklands veteran. An act of kindness that many photographers would not have offered. Says a lot about the man. Yes indeed, Dave. It was a pleasure and a privilege to meet and interview Phil. It was a pleasure and a privilege to meet and interview Phil.